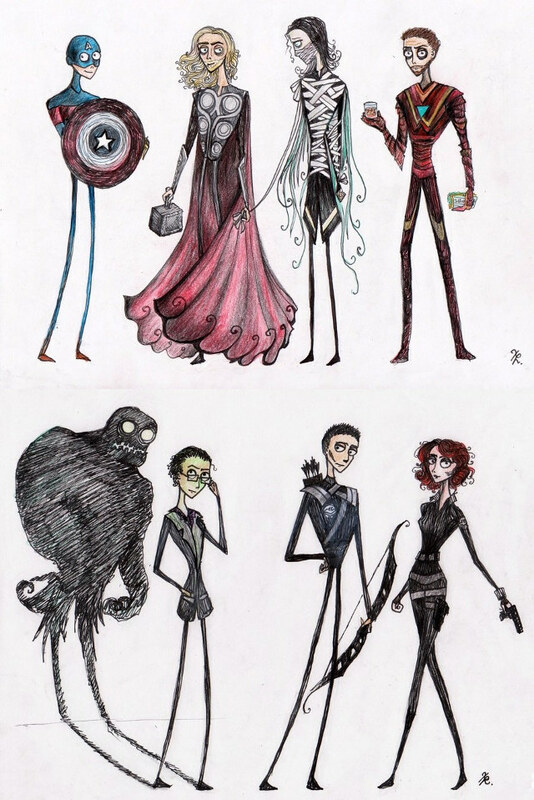 Would you watch Tim Burton's Avengers? I agree, Burton's style has its place. 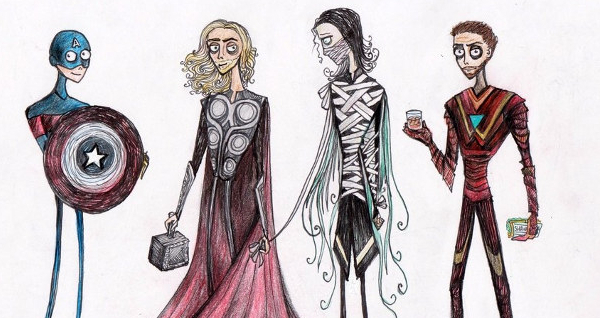 "Beetlejuice" was based on Burton's designs, and were mind-blowing. Unfed - good call, Jeremy! 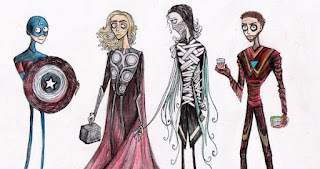 Yeah, glad he didn't design them. Back from vacation and hope I didn't miss too much here!